The envisaged new status for foreign workers in Japan is raising hopes in industries facing severe labor shortages, such as the restaurant and manufacturing sectors. The new residence status “will help us hire more talented foreign workers,” an official of a major izakaya (traditional Japanese pub) chain said, welcoming a bill to revise the immigration control law as the restaurant industry has been struggling with chronic labor shortages. “It’s good for both Japanese and foreign staff as we can learn languages and customs from each other by working together,” an official at a major hotel operator said, hoping for synergies that will help improve service quality. In the manufacturing industry, Isuzu Motors Ltd. President Masanori Katayama said that it will be good to have more hiring options, as his company is suffering from a shortage of workers, . “Many Indonesian people are already playing a major role and we would face problems without them,” an official in the shipbuilding industry said. Companies in the industries that are expected to be covered by the planned new residence status are eager to actively hire foreign workers, sources said. The government submitted the bill to revise the immigration control law to the Lower House, last week. 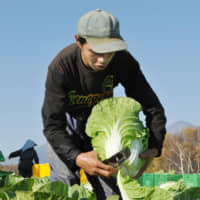 The bill is designed to accept more foreign workers in Japan, including unskilled workers, to resolve labor shortages. It calls for creating two types of new residence status. The government is considering giving Type 1 status to foreign workers with certain levels of knowledge or experience in 14 industries, including the agriculture, fishery, restaurant and hotel sectors. Type 2 status would be granted to highly skilled foreign workers in some five industries, including construction and automobile maintenance. Faced with a drop in the aging farmer population, the agriculture industry is welcoming the policy of accepting more foreign workers. But there are cautious opinions as well. 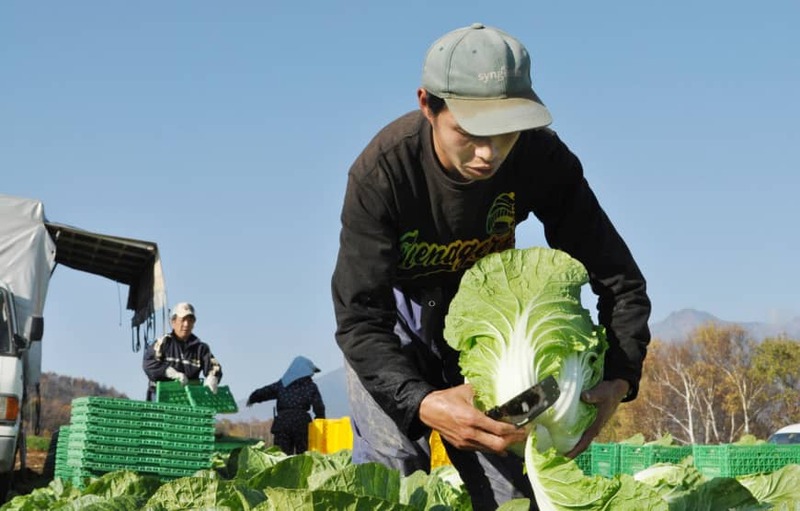 Toru Nakaya, head of the Central Union of Agricultural Cooperatives, or JA-Zenchu, said there are concerns about problems involving foreign workers and the deterioration of public security. “It’s necessary to dispel such concerns and provide a friendly environment for foreign workers,” Nakaya said. Currently, some companies in Japan accept foreign workers under the country’s technical intern training program. But the program has been plagued with problems. Abusing the system, some companies refused to pay wages to their trainees, while some interns have gone missing. “It’s our mission to create a work environment allowing each worker to utilize their capabilities regardless of nationality and gender,” said Noriaki Horikiri, president of major Japanese seasoning-maker Kikkoman Corp.